​Planning permission has been granted for a new public library in Glossop, bringing in over £2.3million of investment into the town. The plans include the relocation of the library from the Victoria Hall, into a new purpose built extension on the Adult Education Centre building. Even more importantly, the decision now gives the Victoria Arts Centre, who’s plans are conditional on the library relocating, the opportunity to develop a financially viable model that would attract lottery funding. This funding would be used to bring Victoria Hall back in full use as a multi-use community art centre. 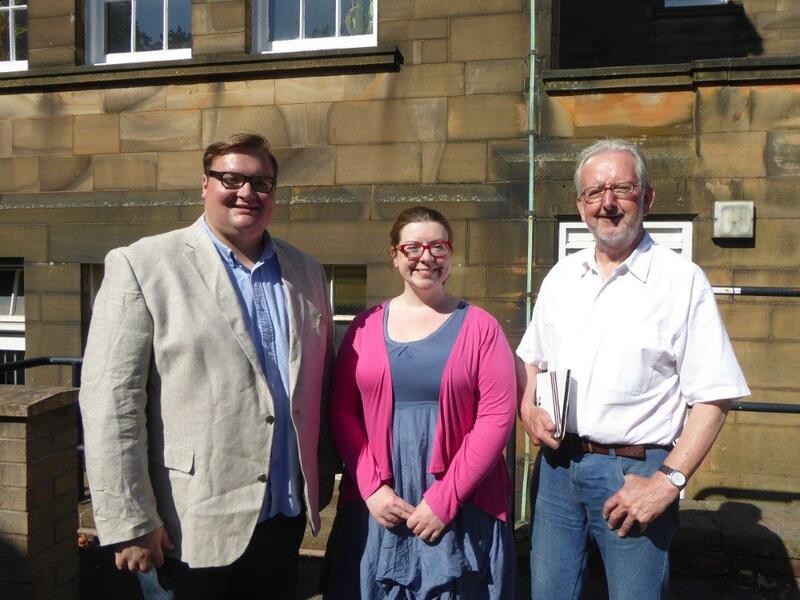 Cllrs Damien Greenhalgh, Ellie Wilcox and Dave Wilcox outside Glossop’s Adult Education Centre. Representatives from the Victoria Arts Centre Project, also spoke at the meeting, urging planning chiefs to support the proposal to move the library. Members of SOUL spoke against the proposal and asked that a decision be deferred. Cllr Damien Greenhalgh hailed the committee’s decision as substantial progress in bringing much deserved investment into Glossop. ‘The existing library is now tired and in need of development. The joining of adult education services and the library will bring about new opportunities for Glossop people’ said Cllr Greenhalgh.